The PRO-MOUNT is our improved riser for the RD-50 – lightweight, low-profile, and canted for faster target acquisition. The new PRO-MOUNT riser is packed with premium features in a sleek package, without the high-end price tag. The cantilever design places your optic further forward, which makes guiding your eye towards your target even faster. The skeletonized body of the sight keeps weight low without sacrificing the strength you need for staying on target in rough conditions. And keep things snag-free, we’ve switched to a bolt and lock nut for a tight fit that won’t get caught on your gear. 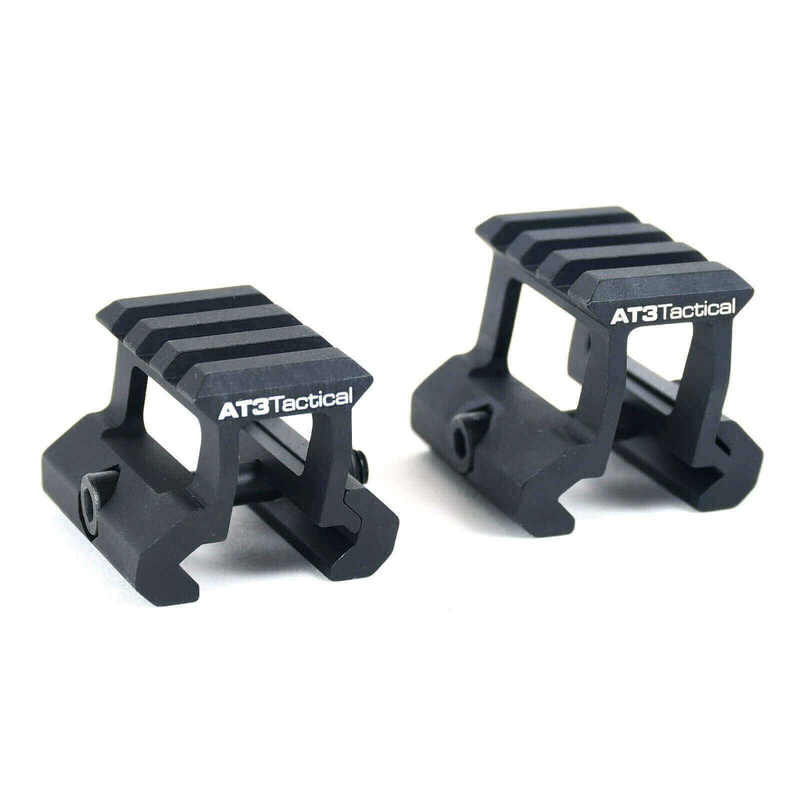 .83″ Med Profile Riser – Raises your optic by .83″, which is perfect for an absolute cowitness on most red dot sights. This riser arrived rapidly and was machined and finished very well. I mounted the AT3 red dot to it and this combo is excellent. I recommend both to any AR type rifle that you need to get up off the Picatinny rail to correctly utilize the red dot sight. Looks cool also. High quality, low cost mounting option for your Picatinny railed red dot. If you’re looking for a red dot mount with picatinny rail section... This is the one to get! Looks good and functions. Obviously I wouldn’t go into battle with it, but for plinking or an option for a low cost build, this will work great! The attachment for my red dot was a lil to high as I ordered the 1” should have gone with the .’83 for lower 1/3. The red dot doesn’t mount directly to the riser but has a thin mounting plate between the optic and riser that’s why I calculated wrong. Hope this helps! Would buy again. No complaints here, the one inch riser goes well with my build, it fits the look that I was going after. I got the 1" riser mount and I can easily say this is built well. From the machining to the hardware, this is a solid mount to run. At 1" it gives a great 1/3 cowitness when running back up iron sights. I'd buy it again.